â€œWhoa!â€ Andie white-knuckled the steering wheel of her battered Honda Civic as a 60 mile-per-hour gust of wind sent it lurching sideways. Andie didnâ€™t bother to cut the phone connection. No sooner had she managed to get back in her lane than a gale from the opposite direction shoved the vehicle up against the worn shoulder of the deserted Vegas highway. Hail bounced off the roof of the old car, probably adding to its already substantial collection of dents, and the Civic groaned ominously as she reluctantly brought it to a stop. Sagging back into her seat, Andie stared bleakly out at the desert landscape, watching a stand of scraggly cacti vanishing under the onslaught of the storm. Water lapped at her tires, courtesy of the oversaturated land, unable to absorb the full measure of the sudden winter squall. She shivered and sank lower, rubbing her arms, buried beneath several layers of usually warm sweaters. They couldnâ€™t compete with the chill, however, anymore than the carâ€™s dying heater could keep up with the sudden overall Fahrenheit drop. 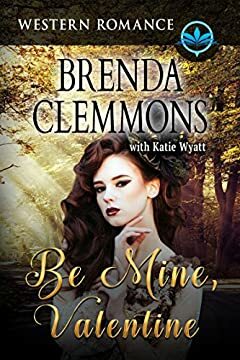 Brenda Clemmons and Katie Wyattâ€™s Clean and Wholesome Contemporary Western Romance series is enjoyable for all ages.